Achieve your goals on this pioneering degree. The foundation year could be your first steps into an action-packed profession if you don’t have the qualifications to join an honours degree directly. Combine your passion for football with high level journalism skills on the only course of its kind in the country. Build the core practical and intellectual skills of a journalist so that you’re also equipped for a broad range of media careers beyond the world of sport. 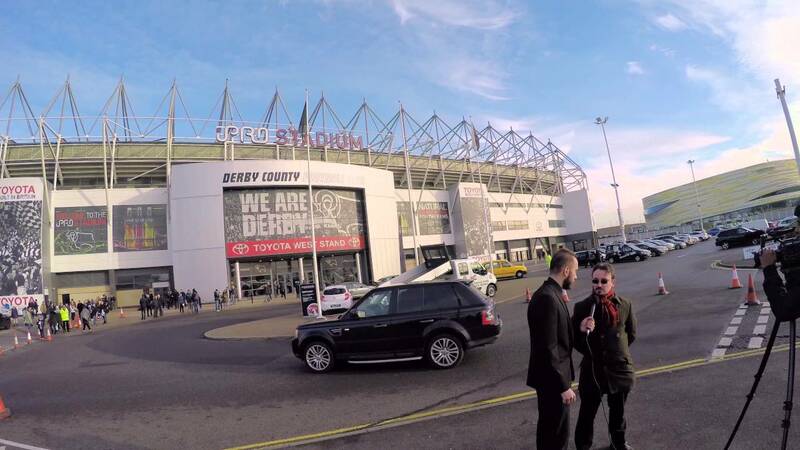 Derby is the first university in the UK to develop a specialist degree in football journalism. It offers you a clearly defined path to working in the football industry and meets the growing demand for highly knowledgeable, highly skilled multimedia journalists. Studying Football Journalism with a Foundation Year is for you if you have the ability to study for a degree, but don’t have the necessary formal qualifications to enter directly on to the Honours degree programme. It provides you with a firm grounding in the skills and knowledge you need and introduces you to the subject of journalism, enabling you to achieve your full honours degree in four years. Coverage of football in the mainstream media overshadows all other sports, underlined by the recent record £5.1 billion deal for Premier League TV rights. Interest in our national game is so intense that it is regularly propelled from the back to the front pages of our newspapers, has led to an explosion of specialist football websites and has seen football clubs become global brands taking control of their own narrative. This new degree reflects the public’s growing appetite for round-the-clock football news and comes at a time when clubs themselves are seeking well-qualified media professionals who can help them build their audiences and communicate directly with fans. The course also supports national moves to attract more women into football-related careers, including in media roles: statistics suggest that fewer than 10% of sports journalists are female. Organisations such as the FA and Women in Football are now campaigning for a more ‘level playing field’ for females moving into the industry. Their calls coincide with growing interest in the women’s game too - with one billion TV viewers tuning into the 2015 Women’s World Cup across the globe. New technologies are revolutionising the ways in which people receive their news. This dynamic course will equip you to rise to the challenge in the age of digital news. You’ll learn how to deliver compelling content for both traditional and emerging media platforms - producing print, radio and TV reports as well as creating blogs and podcasts, digital photos, audio/video stories and content for websites and external devices. While career opportunities for media professionals who can specialise in football are growing dramatically, we also ensure you have the foundation skills for journalism careers in the broader sense. You'll gain the core research and writing skills alongside knowledge of marketing, PR and media ethics. Throughout your studies, you’ll have significant hands-on experience of reporting on football. You’ll cover all aspects of the news cycle from previewing matches to live reporting and post-match analysis, along with press conferences, interviews and sports features. You’ll draw on the general principles of journalism - developing your news values; building a strong network of contacts; learning how to source, research and produce original stories; conducting interviews; and delivering fair, balanced and accurate reports. By the end of the course, you will have an impressive editorial portfolio to show prospective employers. We are collaborating closely with the football and media industries to ensure that the degree delivers the right level of skills and knowledge - not only for the journalists who cover the sport but also for the growing number of professionals who work in media relations for football clubs. The course has been developed following discussions with the football industry, major media companies like the BBC and newspapers, as well as football clubs themselves. As part of your course, you’ll gain practical work experience within the football industry or relevant media organisations to expand your professional know-how and boost your CV. You’ll also hear from guest speakers who will share their experiences of football journalism and help you extend your professional networks. You'll be based at our Kedleston Road and Markeaton Street sites where you'll study in our excellent facilities including three radio studios, a fully equipped television studio, video editing suites, Mac suites and a newsroom featuring the latest software. The University of Derby has an excellent reputation for sport, boasting a new £10.8m sports centre, strong partnerships with the likes of Derby County Football Club and wide-ranging academic expertise in subjects such as sport science and coaching. You’ll discover the University is a rich source of news, debate and topical comment on sporting issues and you will have every opportunity to work for the various print, radio and online news outlets on campus. Or you can choose to study for a term at an English-speaking university in almost any major city in Europe under the Erasmus programme. For a more general journalism degree, you can also study our BA (Hons) Journalism or you could combine Journalism with another subject - find out more about our joint honours degrees. For the rest of your degree you’ll be assessed in several ways, including academic essays, audio and video reporting, case studies, editing skills, examinations, extended reports, journalistic writing, presentations, process analyses, production design and content production, production skills in image manipulation, reflective diaries, report writing and self-evaluation. This course develops the broad range of knowledge and skills you need to become a multimedia professional, adept in the production of content for print, online and broadcast outlets. While it equips you to work in football journalism specifically, it also prepares you for careers in broader areas of journalism, online or broadcast media production, PR, advertising, corporate communications, law and public administration or politics. The research and communication skills of a journalist are highly transferable to a huge variety of graduate level jobs. Our students have gone on to work for magazines and local newspapers; BBC, commercial and community radio; and BBC and commercial TV. Others have set up their own digital businesses or worked for online agencies. Three current students launched their own football-based media company in their second year.